Eden Autism has been a client of Howard Design Group’s for more than 25 years. We are honored to work with such an amazing group of people, helping this organization to pursue its mission—to improve the lives of people with autism, one individual at a time, one family at a time, and one community at a time. The annual Eden Dreams Benefit Gala is a major fundraiser for Eden and one of the highlights of our year. It is a project that we hold close to our heart as we work to create beautiful materials to promote the event, including the save-the-date card, invitation, event website, and other print and digital promotional pieces. 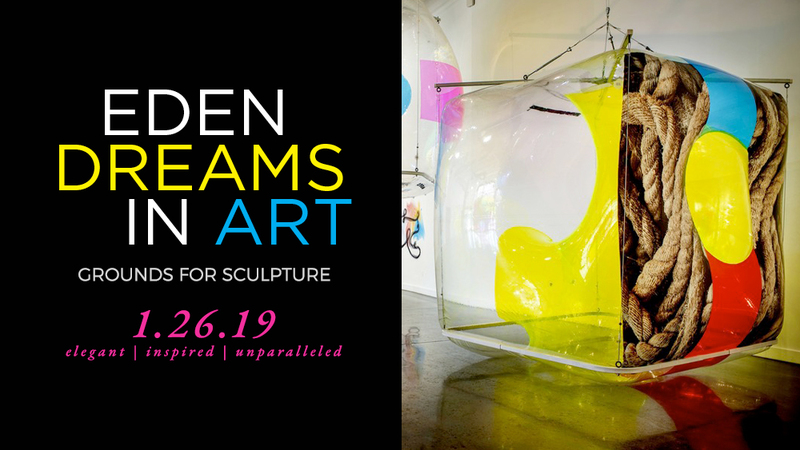 This year, the gala was held at the Grounds for Sculpture, in Hamilton, NJ with the theme, Eden Dreams in Art. It goes without saying, as a creative firm, this was a very exciting theme to design for! We’ve included some of our artwork in this post for you to see. Howard Design Group was also one of the gala sponsors, with a group of us attending on the night. The ambiance, the location—spectacular, as you can imagine. But, it’s the stories and the people that you always remember the most with Eden. This year was no different. After we said our goodbyes and thank yous for the evening, we returned to work on Monday feeling joyful and in awe of the efforts and contributions of those in the Eden community. Howard Design Group was proud to be a sponsor of the 31st Annual Eden Dreams Benefit Gala, Eden Dreams in Art. You’ll start executing better in the marketplace right away and gain clarity into underlying marketing strategy problems that hamper you from elevating your brand, reach, and revenue.